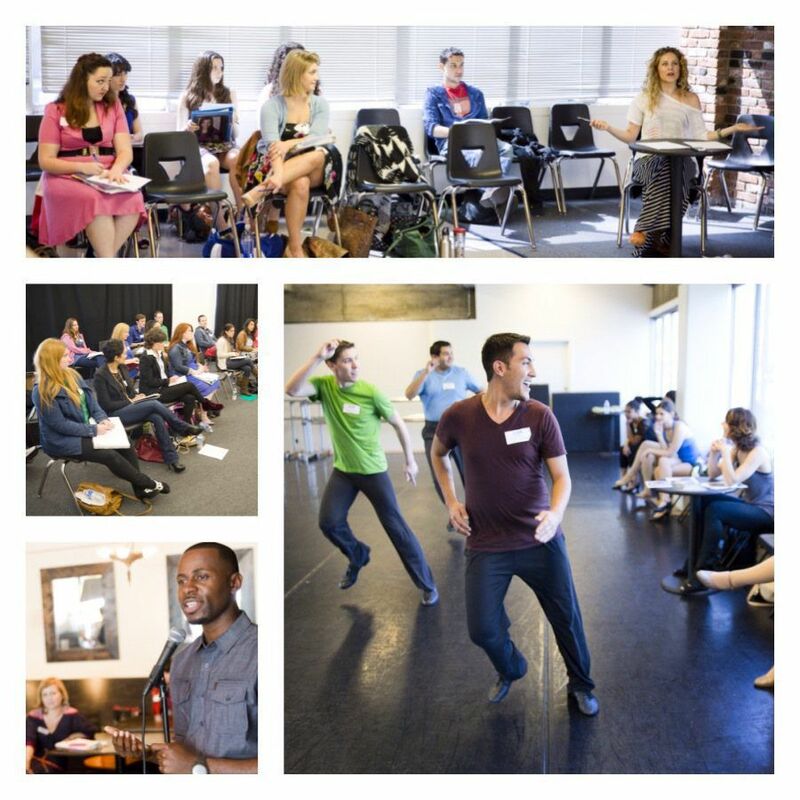 AMDA Los Angeles and New York campuses hosted a round of Spring 2013 Alumni Workshops, offering a free day of classes to all AMDA Alumni. Some photos from both events are posted below. AMDA LA Workshops were held at our LA campus on March 16th, offering classes in Musical Theatre Audition Technique taught by alumna and Broadway star Chandra Lee Schwartz (Glinda in Wicked), Dance Audition Technique for Singers and Dancers taught by AMDA alumna, faculty and Broadway performer Chryssie Whitehead (A Chorus Line), and Commercial Audition Technique workshop taught by AMDA alumnus and agent Jordan McKirahan. We also featured a mixer with guest speaker alumnus Justin Key who spoke about his personal experience as an entrepreneur and the importance of networking. AMDA NY Workshops took place on Saturday, April 6th at the 61st St campus and offered classes in 16 Bar Cut- Musical Theatre Technique Workshop with Phillip George, Monologue Audition Workshop with Dan Daily, Jazz Dance Technique Workshop with George Nieves, Voice and Speech Workshop with Joe Goscinski and Tim Ryan, and Commercial Audition Workshop with Cate Smit. Hosted by the Alumni Relations department, the mission of the Alumni Workshop series is to provide our alumni with a free day of professional classes and give everyone the chance to network with their fellow alums. If you are an alumnus and you are not receiving alumni news or invites, please contact Annissa Mason in Alumni Relations to make sure that we have your updated email address and contact information. We would love to see you at our next round of Workshop events this fall!